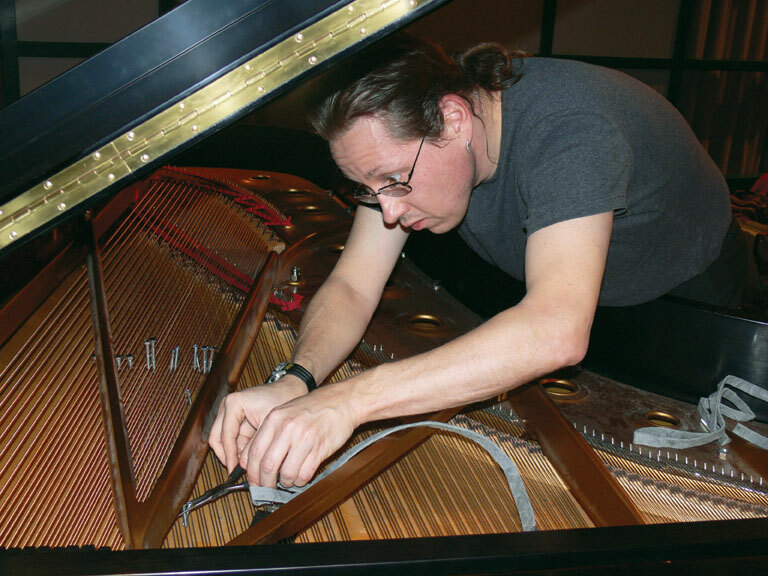 As a composer of "modern classical" music, Allen Schulz had always followed the traditional method of getting his music played. He either wrote music then looked for performers to play it, or waited until an ensemble commissioned him to write for them. "It’s a fairly tried-and-true system," Schulz says, "But the institutions of the music world—professional orchestras, top-notch ensembles, and renowned individual artists—rarely give emerging composers’ music a chance." Three years ago, Schulz hit on an idea to give himself, and other composers, that chance. "I decided that I needed to turn the typical procedure of ‘ensemble commissions composer to write music for performance’ on its head," Schulz explains. "Instead, I’d write some music and then find an ensemble that would agree to perform my music. To save money, I would promote the concert, pay for the venue, and even provide a small fee to the ensemble for their work." But a typical "new music" concert in New York City usually needs at least one hour of music, and Schulz knew such an effort—together with his day job as a music editor—would take more time and energy than he had. "I decided to split the effort," he says. "I began talking with colleagues whose music I admired and asking them what they thought of forming a group of composers who each contributed some money, time, energy, and a new piece of music to a concert with a hand-chosen new music ensemble." Eventually he convinced five of his favorite young composers in New York City to give it a try and they formed a "composers’ collective" called Random Access Music (RAM) to promote the music of each of its members. "The collective has been an over-the-top success," says Schulz, whose own work was included in RAM’s October 2007 season opener. "We’ve boasted audiences that are double what most new music concerts draw; our financial success has been strong enough to expand our promotion and our general profile in the new music market in New York City; and our artistic quality has been so high that new music ensembles are now lining up to work with us using this new model. What is the most important thing you have learned about being an entrepreneur? The most important thing I’ve discovered about social entrepreneurship in the field of music is to seek out other artists who share your need for a solution to the same problem. Pooling resources, energy, and talents allows individuals to remake the traditional system—in which established artists choose previously known and already-established composers—into a system where emerging artists choose both established and/or emerging performers. Solving a social problem requires participation from multiple members of that social network. *?